Welcome to “The Original” Valentino Italian Restaurant on Surfside Beach. Come and enjoy a romantic dinner in an intimate setting. 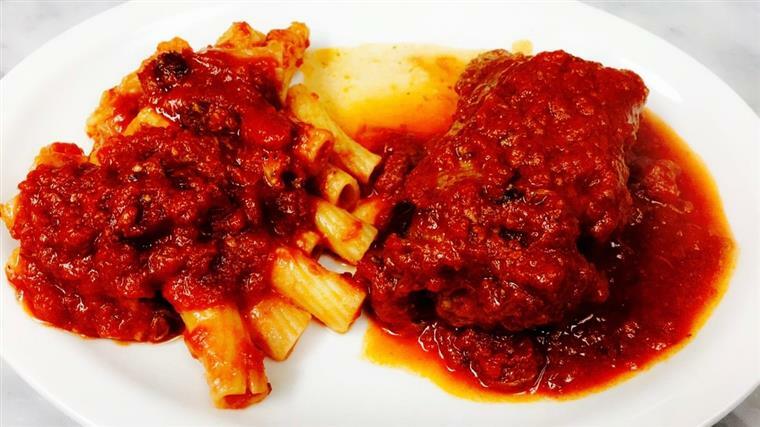 You will always find a warm inviting atmosphere that serves the finest Italian Cuisine. Bring your family in for an Authentic Italian dinner, Live music and an unforgettable experience at “The Original” Valentino Italian Restaurant. Rolled beef with peanuts, raisins, parsley and butter served with your pasta of choice. 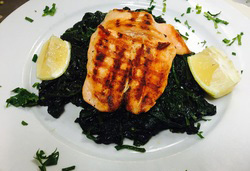 Fresh salmon seared and grilled to perfection served over sauteed spinach. 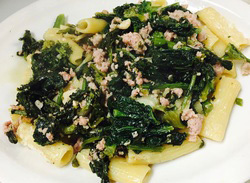 Rigatoni pasta with broccoli rabe and crumbled sausage sauteed in garlic and oil.